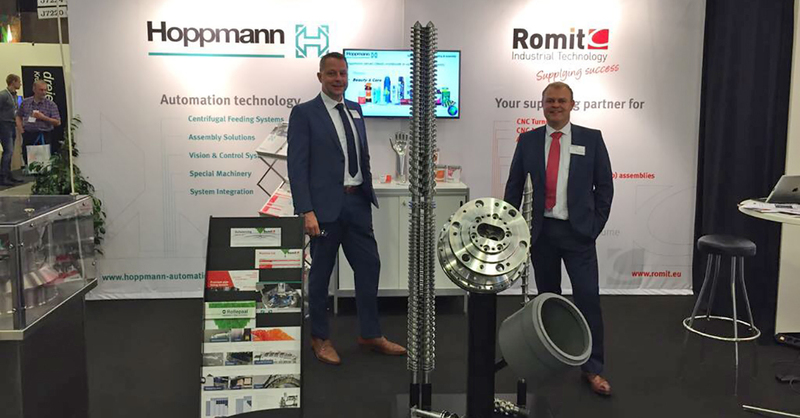 After three days of knowledge sharing, networking and many interesting conversations, Romit Industrial Technology looks back on an exciting and successful hi Technology and Industry expo 2017. The 54th edition of the hi Tech & Industry expo took place from 3-5 October 2017 in the MCH Messecenter in Herning, Denmark, and attracted more than 20,000 professionals. Compared to the hi expo of 2015 this year’s edition welcomed 24 percent more visitors. The event featured 711 exhibitors, and is Scandinavia’s leading trade fair focussing on automation, industrial supply, production equipment, innovation, energy, subcontractors and logistics. Our Manager Sales & Marketing, Raymond Sieljes, was present at the expo and was able to inform a lot of interested parties on what Romit has to offer. We experienced the hi expo as good platform to engage in many Scandinavian business relationships and were able to meet many visitors. We therefore expect to close the first orders soon. We would like to thank all visitors for stopping by our booth at the hi Technology and Industry expo 2017 and we are looking forward to the next hi expo in October 2019!